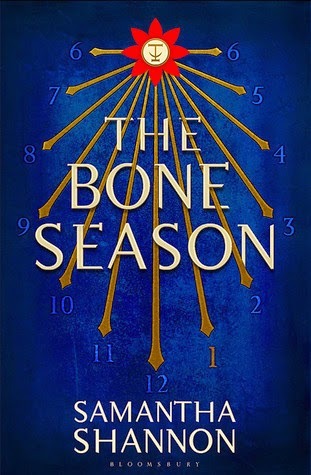 When it was released, The Bone Season by Samantha Shannon, was marketed as being the next big thing; the new Harry Potter, despite being nothing like Harry Potter. The second in the series is freshly available at a bookshop near yourselves, so it seemed like a good time to read it. It was... okay. Paige Mahony is a clairvoyant in a future alt-England where such powers are illegal. More specifically, she’s a dreamwalker, one of the rarest types of voyant, who can separate her spirit from her body. Paige lives in London where she works for Fagin Jaxon Hall, her Mime Lord (Gangster boss), until she accidentally kills an Underguard. She’s captured, drugged, and sent to a place she and the rest of the populous didn’t know existed: Oxford. Okay, Sheol 1. Formerly Oxford. There she learns the things which make this book and this review such a challenge: the extensive world building. It is confusing. For a start, there are the various types of voyants. I spent my youth with an orange dot energised by Yuri Geller himself so I came to this knowing terms like ‘cartomancer’ and when I didn’t know I word I could make an educated guess. Then there’s the world of Scion, the government, and its creation in the first place (Edward VII was the first voyant, and also Jack The Ripper, and apparently still Edward VII rather than Prince Albert Edward, despite people knowing this at the time of its occurrence). Then there’s the world of Sheol where the Rephaim – a race of beings from the Netherworld, as scholars of Hebrew mythology will remember – keep voyants as slaves and mobile larders, feeding on their auras. Those who embrace their new overlords can become Red Jackets, a necessary part of the attempt to stop the Emim from overrunning the city and the rest of the world. Then there’s a whole host of other stuff, sometimes with nicknames and a light smattering of Victorian slang in addition to the books own terms, and as a result the book proceeds in fits and starts, bogged down by its own exposition, not really getting into to gear until a good half-way through. It’s intermittently interesting until then but the first 20% is quite a slog requiring more than one consultation of the book’s glossary. Because this is YA, it’s necessary for the MC to be imprisoned in some fashion. Paige becomes the property of a Rephaim who instructs her to call him Warden, even though that’s not his name, whose job it is to train her to earn her Red Jacket. If she doesn’t [world building stuff] but if she does [world building stuff] but there’s also the fact that [character] wants to [spoiler] because [spoiler]. Did I mention this gets a tad bogged down by itself? Some aspects of the plotting are bland and predictable – Paige does something for Warden then repeatedly asks herself why she did it. Then it happens again and she repeatedly asks herself why she did it again. Other aspects give a nice spin to that predictability, setting up threads for coming tomes in the 7 book series. Others feel like they’re ripping off another YA series entirely. The main story is ... merely okay. As is the trend in YA books, we have a female MC who gives the illusion of being active. Paige, like Katniss Everdeen, is at the mercy of her situation and can only act within its restrictions so much of the book involves Paige hoping to get out of her situation but having to go along with it. Your enjoyment will depend on your tolerance for reading about Paige being Paige. I was fairly meh. There are some good scenes – Shannon can write action when she wants to - but the final sequence, like much of the book, could have been a lot tighter. I read this because it was an offensively low price on Amazon – 51 English pennies if I remember correctly – but I don’t think I’ll be picking up the sequel. I didn’t expect huge amounts from it and it gave me pretty much what I expected. The world building is going to be a huge plus several books down the line and this has got the potential to create internet communities in the way Harry Potter and Game of Thrones has but I, who can barely remember how to spell her own name sometimes, was left unengaged and frustrated. I suspect I may get more out of it on a reread, but right now I feel no compulsion to give it one, nor to continue with the series.